Hooray! My iHerb.com haul has arrived! 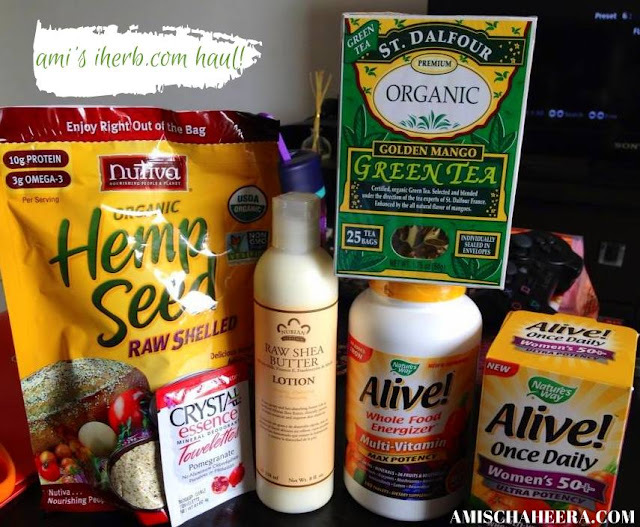 iHerb is the place where I get my geek on over healthy/organic/all natural products to use in my home. My first iHerb haul was when I decided that I should be taking the next step from just eating healthy to also using all natural/less toxic product for my body. I started off with a bunch of Nubian Heritage all natural soaps (for face & body), Xyli White non-flouride toothpaste, J.R Liggett old fashioned bar shampoo, Aztec Secret Indian Healing Clay for a powerful all natural detox mask, Crystal Body Deodorant (because normal deodorant that has aluminium & paraben can give you breast cancer, well no thank you!). Phew, from that first haul a few months ago, I've been buying from iHerb every month since last May if I feel the need to restock or replace whatever needs replacing. 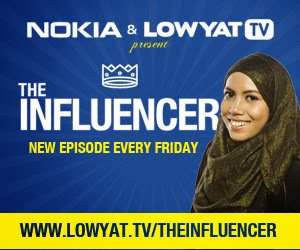 I usually spend an amount of under RM250 including shipping using DHL Express for International, which only takes 4-5 days to arrive! Anyways for this haul, these are what I bought! I drink hot green tea every morning after my smoothies, as you all might know green tea is full of anti-oxidants and anti-inflammatory activities which can help with wrinkles & anti-aging. Tea catechins are strong antibacterial and antiviral agents which make them effective for treating everything from influenza to cancer. It is also widely thought to kill cancer cells in general without damaging the healthy tissue around them. In some studies green tea has been shown to inhibit the spread of many diseases. Green tea increases the metabolism. The polyphenol found in green tea works to intensify levels of fat oxidation and the rate at which your body turns food into calories. Green tea apparently helps regulate glucose levels slowing the rise of blood sugar after eating. This can prevent high insulin spikes and resulting fat storage. There are lots more benefit of green tea if you google it, that's why Japanese people always look so young and live a long life - green tea & healthy diet. Honestly this is my first time trying another brand of green tea, I usually drink OSK brand which you can easily get from Jusco at the Japanese food section. Moving forward, naturally I choose organic green tea as replacement. Certified, organic Green Tea. Selected and blended under the direction of the tea experts of St. Dalfour France. Enhanced by the all natural flavor of mangoes. 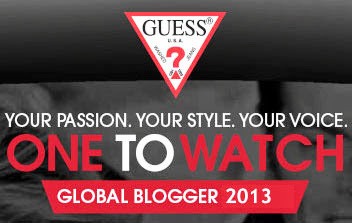 The St. Dalfour tea experts have searched the best tea producing areas in the world. After careful screening, they have selected special pristine tea gardens. No preservatives or chemicals are used. In these gardens master planters nurture tea bushes with natural organic biomass and loving care. Only these tea gardens are used for St. Dalfour Green Tea. Since tea is made directly from tea leaves plucked on a continuous basis during harvest (and these tea leaves are not washed), it is vitally important to make certain these leaves are free of any chemicals. 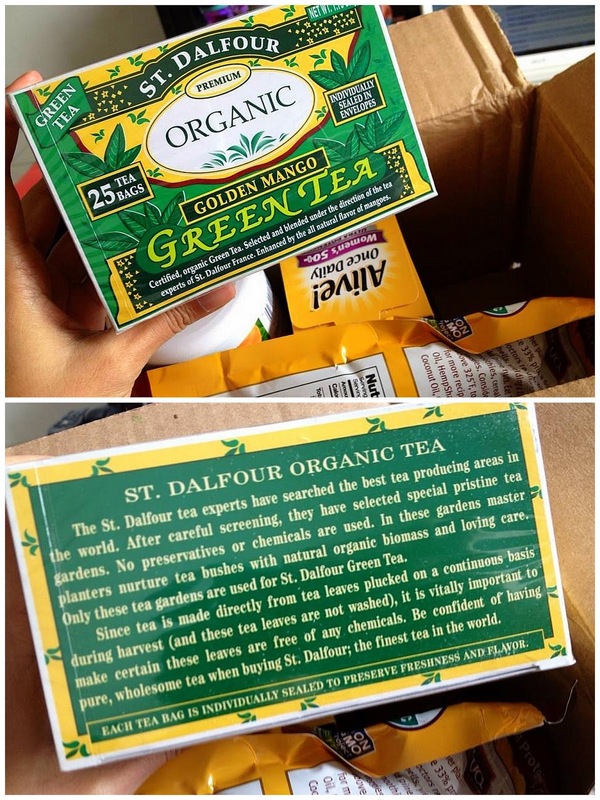 Be confident of having pure, wholesome tea when buying St. Dalfour; the finest tea in the world. Each tea bag is individually sealed in envelope to preserve its fresh, natural flavor. The tea bags are made with eco-friendly paper. No chemicals (which would alter the taste of tea) touch the tea bag. The tea bag is attached to the tag by a pure, sanitized string without the use of metal staples. Thus, no metallic taste is found in the tea. The tea is packaged in an air controlled, immaculate chamber which prevents any impurities from affecting the taste of the tea. Certified organic Green Tea enhanced by the all natural flavor of mangoes. USD3.32 / RM10.85 per box of 25 bags, 50g. Trust Nutiva for the freshest, best-tasting products. Hemp is a gift of nature. Enjoy the world's most nutritious seeds, either plain or as a delicious condiment. Shelled hempseeds are 33% protein, with Omega-3 and GLA-the healthy EFAs doctors recommend. We simply remove the seeds' hard shells, yielding a 100% raw gourmet product that tastes like pine nuts. Eat 3 tablespoons daily by adding them to smoothies, cereal, omelets, yogurt, soups, salads, and veggies. Consider lightly pan-toasting the seeds-but not above 325°F, to conserve the EFAs. 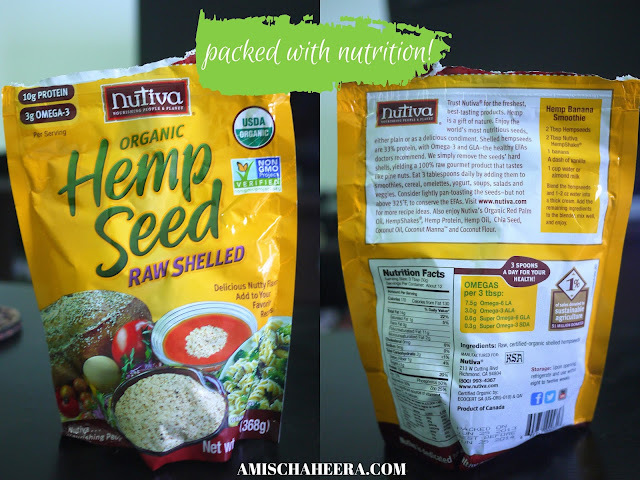 USD12.43 / RM40.62 for 368g, quite pricey I know -__-"
Nutiva Organic Shelled HempSeed, this is my first time ordering Hemp Seeds from iHerb and first time ever eating it and I do hope I'm able to reap the benefits of it. It is tasty, that's for sure! 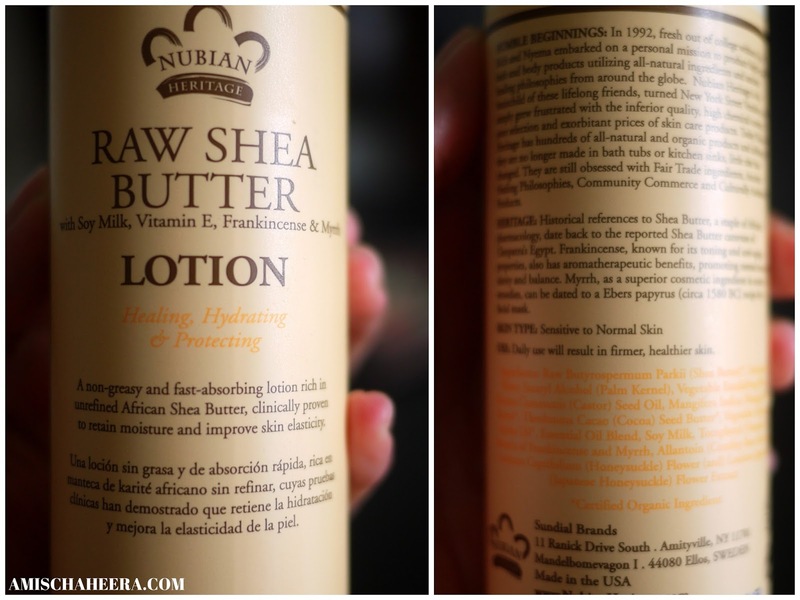 "A non greasy and fast-absorbing lotion rich in unrefined African Shea Butter, clinically proven to retain moisture and improve skin elasticity"
My skin is normally very dry, plus I have been lazy & abusive towards them for not wearing body lotions ever since I try to eliminate as much toxin skincare as possible. That has been going on for 4 - 5 months and I just can't take it anymore. I'm starting to scratch myself and leaving dark pigmented scars out of it due to dehydration hence I ordered this lotion. Before this lotion arrives, Naz told me one night in bed he doesn't know which one is my skin or his when he touches my legs *CRY!!! * Gladly I made the right choice of ordering a heavy shea butter lotion before things get much much worse. I've tried living without you body lotion, I guess I can't.. Sobs! Historical references to Shea Butter, a staple of African pharmacology, date back to the reported Shea Butter caravans of Cleopatra's Egypt. Frankincense, known for its toning & anti-aging properties, also has aromatherapeutic benefits, promoting mental strength, clarity & balance. Myrrh, as a superior cosmetic ingredients in ancient remedies, can be dated to Ebers papyrus (circa 1580 bc) recipe for facial mask. Daily use will result in firmer, healthier skin. USD8.19 / RM26.76 per bottle of 283ml. The texture is very heavy, but it glides on smoothly onto my skin and absorbs well like dessert to water. The scent is very warm & nice, I've actually gotten use to this scent as I use Nubian Heritage Soap Bar in the same scent. I find that after trying out NH African Black Soap (Naz loves this!) & NH Honey & Black Seed Soap which are both very good but this one is most hydrating out of the three whilst also dries out my body acne. A great combination, exactly just what I needed. So far, I'm loving the lotion too! 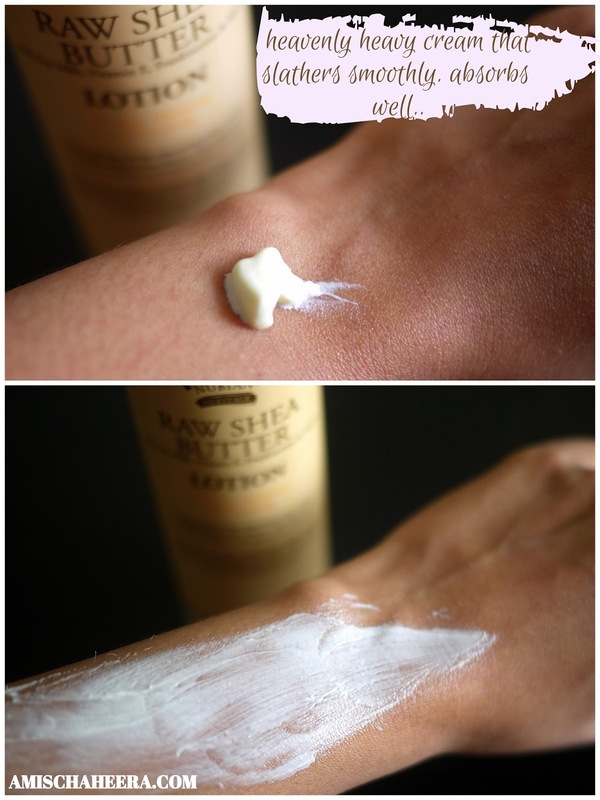 Perfect for very dry skin such as moi. 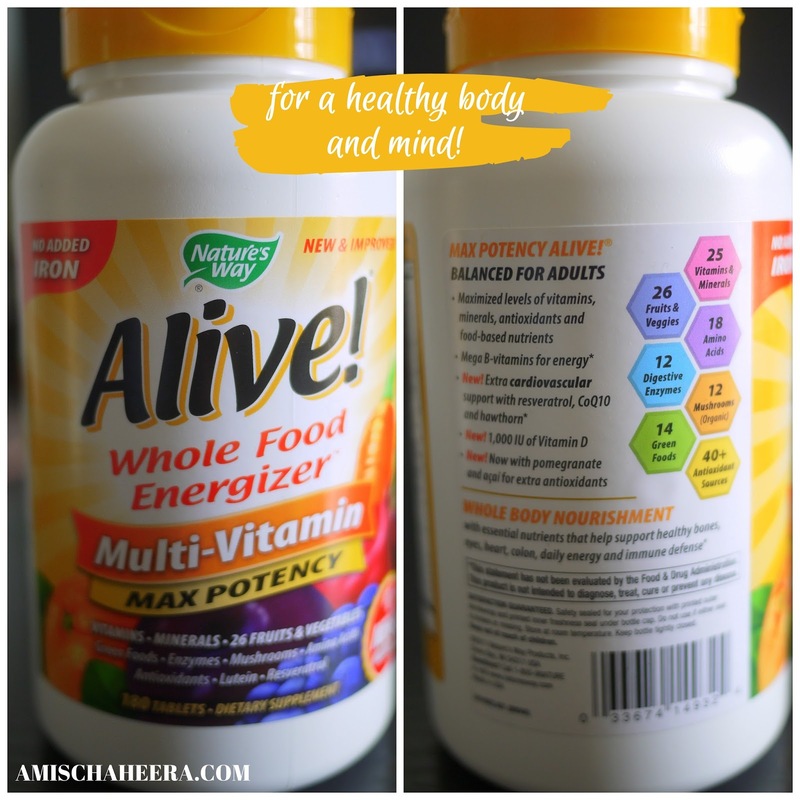 My Blackmore's multivitamin finished a few weeks ago and I needed a replacement, was looking around for a good plant/food based multivits instead of the synthetic ones and I find that this Nature's Way has everything and I mean everything in one pill! God know we can't get all the nutritious supplements through food alone so to complement that I take multi-vitamins and pray for the best! Contains no sugar, yeast, wheat grain, dairy products, artificial flavors, colors or preservatives. More here. 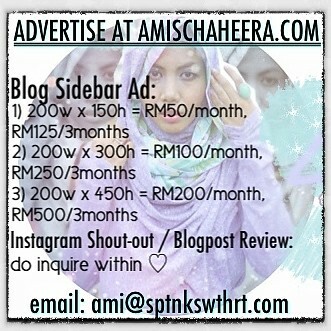 USD31.49 / RM102.92 for a bottle of 180 tablets. Quite affordable, considering that I'm a small person, I think taking two tabs/day should be enough. But for now on the early stage I'll take three tabs per day as recommended. 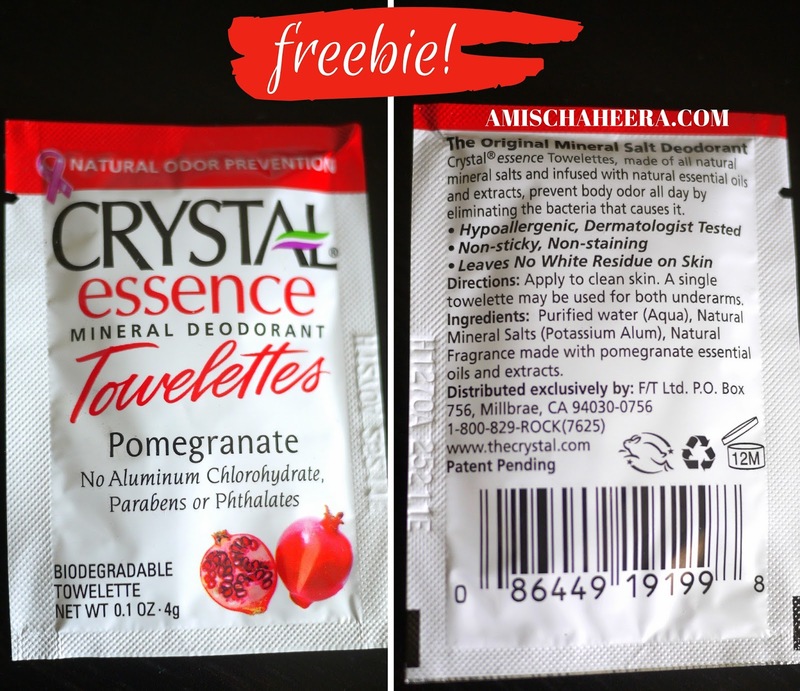 ♥Crystal essence Towelettes, made of all natural mineral salts and infused with natural essential oils and extracts, prevent body odor all day by eliminating the bacteria that causes it. Purified water (aqua), natural mineral salts (potassium alum), natural fragrance made with pomegranate essential oils and extracts. So yeah that's it! That was a whole review of what I bought, maybe I'll come back later with more updated review on the lotion, multivits & deodorant. I think iHerb is a good idea for someone who lives in an area where there's no organic shops around, aside from giving you options & choices from whatver that is available in town coz honestly there's not much and some are way too expensive. If this is going to be your first time shopping on iHerb, use my discount code to get up to USD10! I promise you, you won't be disappointed with their service & I for one is an avid fan of iHerb & always will be. 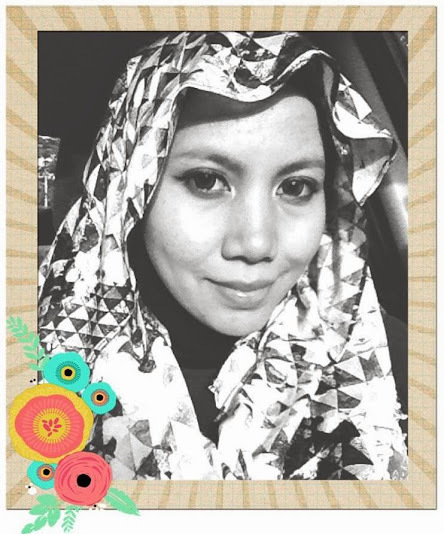 Love their fast delivery, high quality products and most probably cheaper price than most places. I'll probably be trying some organic / all natural skin care & makeup next from iHerb teeheee.. Just so addictive! Let me know if you're planning to purchase anything!